Advken CP Squonking Kit is made up of 2ml CP RDA and CP Mechanical Box Mod. CP RDA is a single coil bottom feed RDA with 810 drip tip and spring-added on the posts design. Advken CP Squonking Kit is made up of 2ml CP RDA and CP Mechanical Box Mod. CP RDA is a single coil bottom feed RDA with 810 drip tip and spring-added on the posts design. Also, it adopts fire button locking design, anti-splashing pin design and posts air-intake design, which make this RDA safe and durable to use. The integrated mechanic al box mod features press filling system and fire button locking design. It has a 7ml e-liquid glass bottle, you can see the liquid left clearly because of the e-liquid notice design. The CP Squonking Kit will bring you huge clouds and best vapor! • No e-juice or 18650 batteries. • 3 month warranty for CP Mod and CP RDA. • Quick Link: replacement glass bottle. 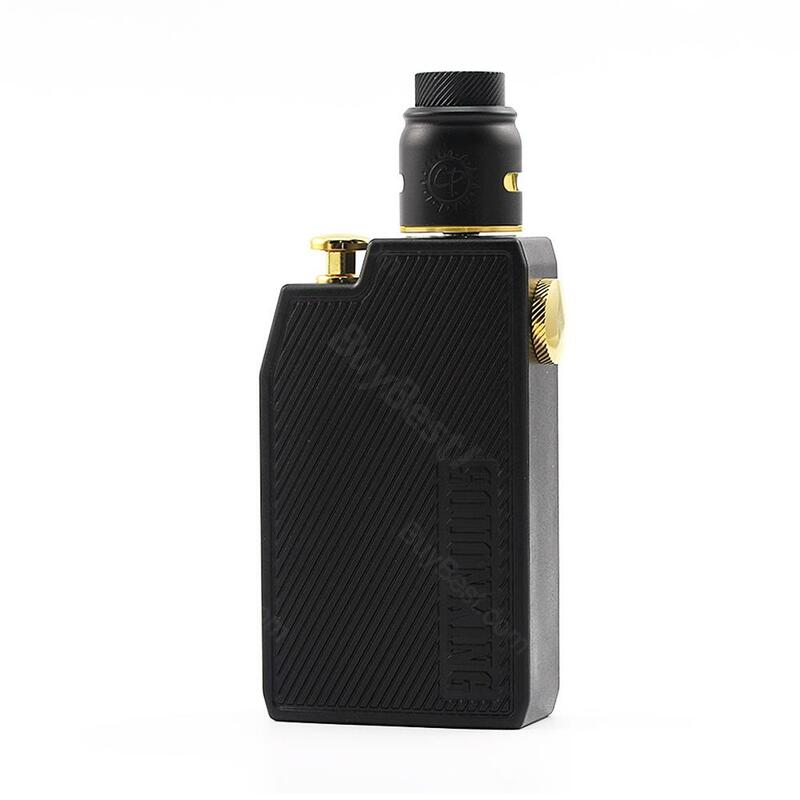 Advken CP Squonking Kit consists of the CP RDA and CP Bottom Feed Mechanical Box Mod. CP Mod is powered by single 18650 batteries, and it adopts press filling and fire button locking design.